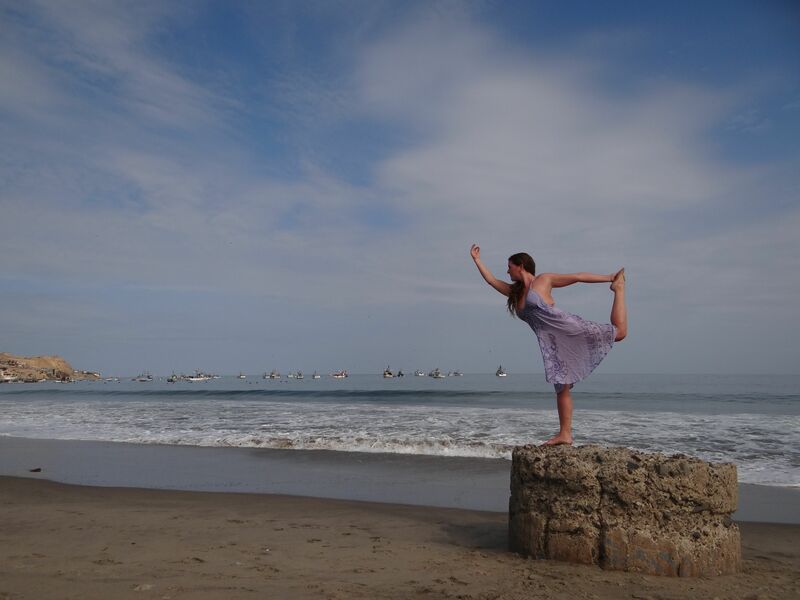 At Drishti Yoga Teacher Training we pride ourselves on developing personal connections with our students. We figure you may want to know more about your instructors on a personal level too! Here’s a little more about Sarah! 1.After relocating to San Francisco from NY. It looks like you have really been enjoying the great outdoors! Tell us about your west coast adventures. I am loving living on the West Coast again. I grew up in Vancouver so it is in my DNA! After living on the East Coast in NYC and Toronto for the last 12 years I am definitely happy to be living back in a place where outdoor living is a little more accessible all year round. I have a dog so every weekend my boyfriend and I pick a different dog friendly hike in the Bay Area which is a cool way to explore a new part of the bay! I also teach in the financial district and get to ride my bike to work pretty much all year round. With El Nino this year the closest mountains at Lake Tahoe have gotten some great snow so I plan on making some trips up there to go snowboarding. Who knows maybe there will be a Drishti Yoga Retreat in Tahoe in our future! 2.For the first time in 4 years Drishti will be home 6 months straight! This has given you an opportunity to get involved in the local yoga community. Tell us about your teaching schedule. It is strange to be staying put for such a long time after living the traveling life but I am definitely embracing it. The San Francisco Yoga community is pretty awesome. People are very into health and wellness here which allows me to teach to a diverse demographic and in different settings. I am teaching Ashtanga, Vinyasa, PreNatal Yoga and PreNatal Fit at Zazen, The Pad Studios, Empower and Planet Granite. They are all very different venues including a Corporate Office and Rock Climbing Gym in addition to the traditional boutique Yoga studios. I really like the range as it keeps it fresh and I get to work with people with different focuses. 3.You’ve taught prenatal yoga for a long time, but you recently did your Doula training and assisted your first birth. Do you see yourself transitioning & focusing more on the Mama’s? Not really, I don’t necessarily see myself switching my focus. As mentioned above I like to teach an array of styles and to different niches. My Doula training and experiences definitely enhances my skills for teaching Prenatal Yoga. I am excited to bring this education to Drishti’s new Prenatal Yoga Teacher Training certification program. We will be offering Prenatal Yoga training on our upcoming training in Portugal this summer and I will absolutely share what I have learned in the delivery room in addition to my years working with expecting mothers on the mat. 4.You mentioned you have a dog, tell us about her! I do! I have sweet little rescue street dog from India! While I was living and teaching Yoga there for 4 months my friend gave her to me for my birthday. I fell in love with her and had to find a way to bring her back to the US. It was quite the adventure! This dog has been more places than some people! The lucky dog is enjoying Californian living. 5.Tell us something we don’t know about you! I am a Canadian living in the US with British parents! I guess that is kind of interesting. I am also a trained actress and dancer. That used to be my focus and why I moved to New York but my Yoga life took over. I am now considering diving back into the Theater scene here in San Francisco just for fun if I find time between teaching, being a Doula and running a business!